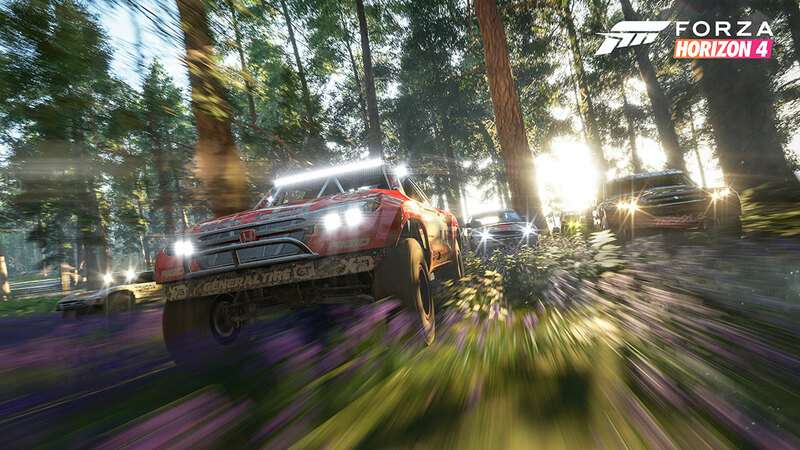 If you’re not able to be in Los Angeles for E3 2018, and you’re desperate to know more about Forza Horizon 4, fear not, we’ve got your back. In this story, we’ll take you through a blow-by-blow tour of the E3 demo, which can be found on the show floor of the Microsoft Theater this week. Before we get to the rundown of the demo, here’s a reminder that you can actually watch the Forza Horizon 4 demo live from the Forza booth at the Microsoft Theater in LA all week long! Simply tune in to the official Forza Motorsport Mixer and Twitch channels, where we’ll be livestreaming the demo from the Forza booth all day long. The streams will be live during show hours and there will be replays during off hours. In addition, we’ll be featuring interviews with special guests on the channel throughout the day. Don’t miss it. Now it’s safe to say that there is a ton of great stuff packed into the demo. 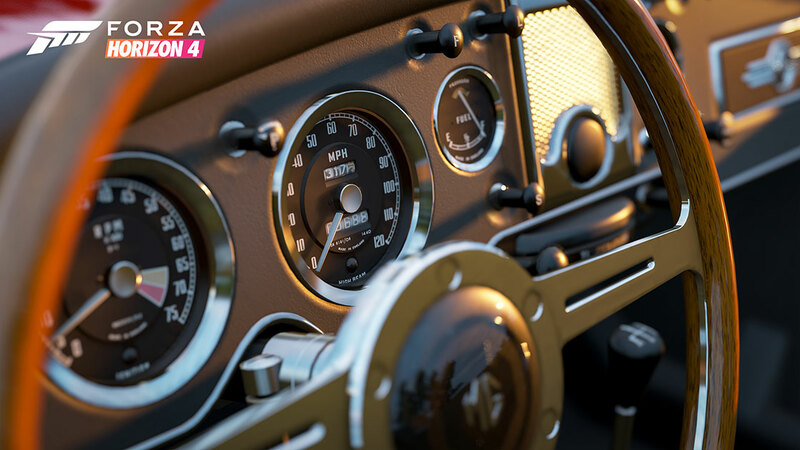 That’s thanks to one of the coolest features in Forza Horizon 4: Dynamic Seasons. 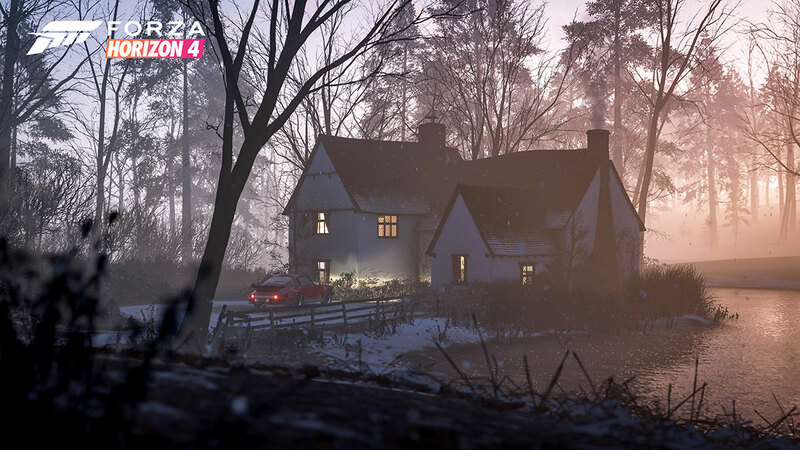 In just a few minutes of driving in the E3 demo, you’ll experience all four seasons as expressed in the game – from muddy spring roads to skipping over frozen lakes in winter time, and so much more. 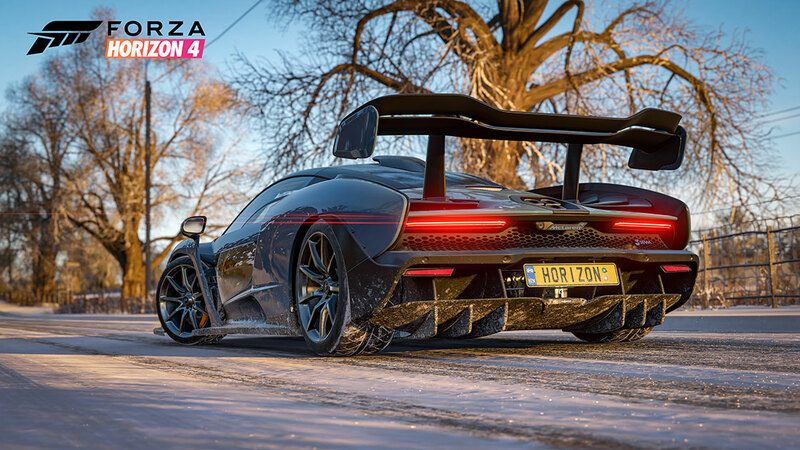 Seasons change everything in Forza Horizon 4, and the demo makes that crystal clear. 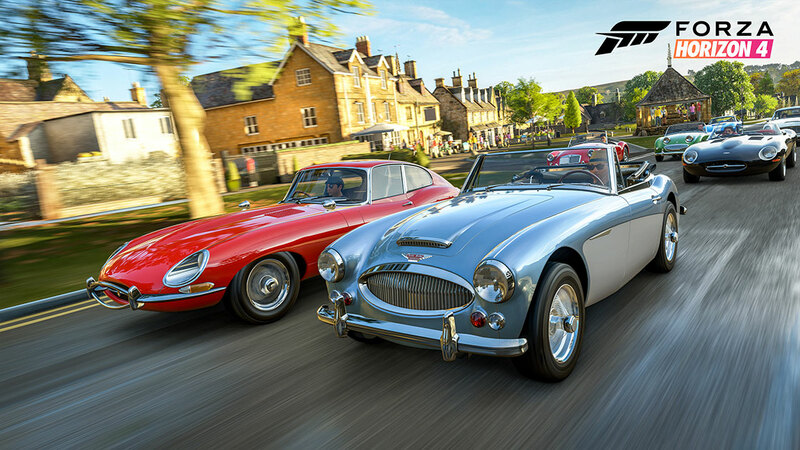 You start the E3 demo with a wonderful choice: which of three gorgeous vehicles do you want to begin your British adventure? 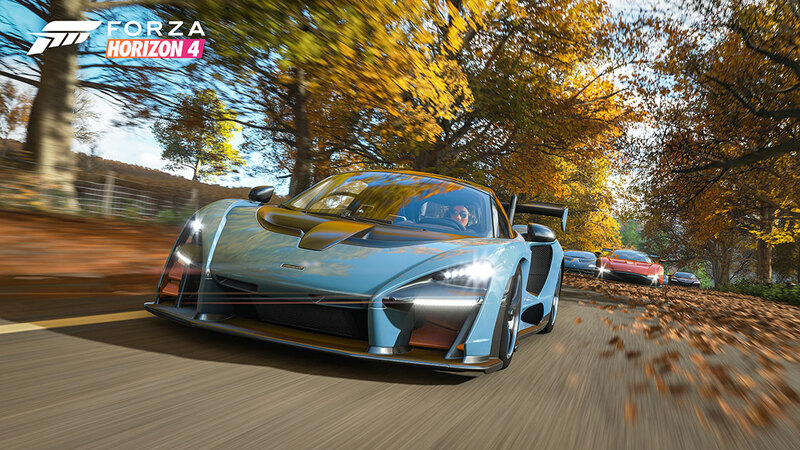 The cars themselves are unique and wonderful – there’s a Porsche Cayman GT4, a Viper ACR… and then there’s the Forza Horizon 4 cover car, the McLaren Senna. That’s 700+ horsepower of incredible road-shredding power at your fingertips, along with all the adjustable aero and supercar handling you’d expect from the legendary British supercar manufacturer. Once you’ve got your car, you’ll tear out of the parking lot of a local British pub and hit the roads of the Lake District. With gorgeous lakes and mountains surrounding you, you’ll feel welcome to your first season – Autumn. The fiery colors of fall surround you as you zip through backroads. If you manage to knock down a rock wall or two, it’s okay but, please, watch out for those sheep! Those lakes we were talking about earlier in the Autumn phase of the demo? They’re frozen over now and are serving as your slippery track of the moment. 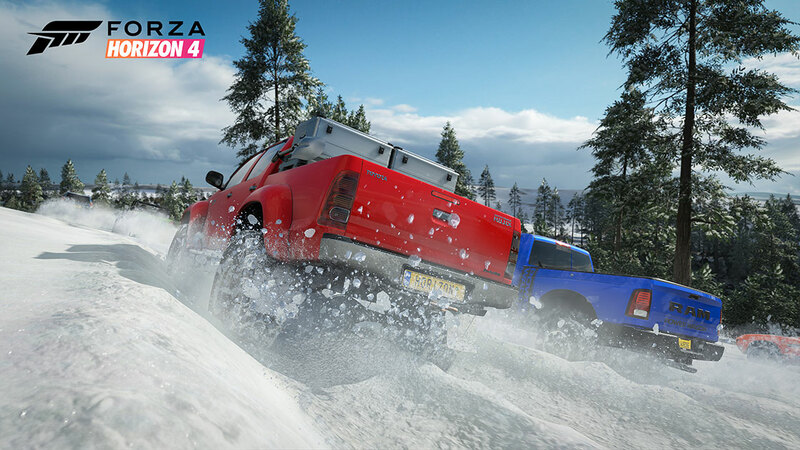 Naturally, snowy and icy roads are a huge part of the fun in Forza Horizon 4’s version of winter and those adverse conditions will provide extra challenge as you speed to victory. One side effect of winter time? Those frozen lakes provide players with access to spots they couldn’t get to during the rest of the year. Who knows what secrets these previously unattainable islands hide? 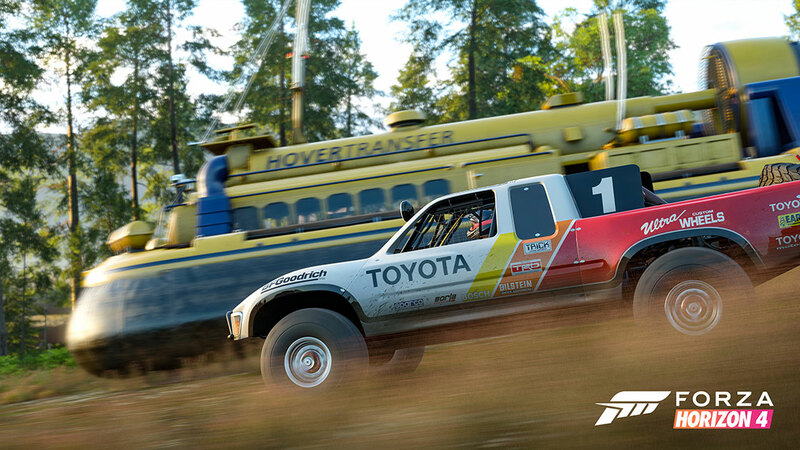 It’s worth taking a break from the demo narrative to remind you that the change of seasons in Forza Horizon 4 will be a global event. Seasons will change every week, and that change will count for all players enjoying the game. One week you’re cruising over frozen lakes, the next you’re blasting through deep mud during a springtime rain shower. In the demo, that transition from winter to spring is dramatic as… well, as it is in real life. Once you hit the Spring section of the demo, you’ll be smack in the middle of a Showcase event. 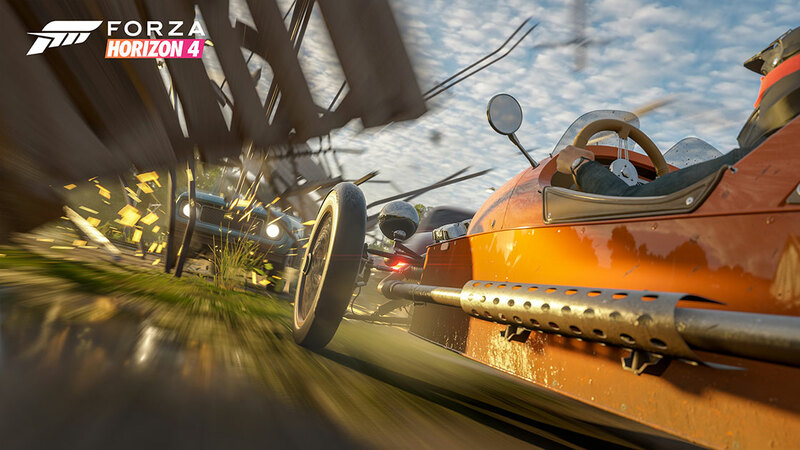 If you’ve played Horizon games before, Showcase events will be very familiar – it’s where you race unique opponents like hot air balloons, zeppelins, even trains and power boats. 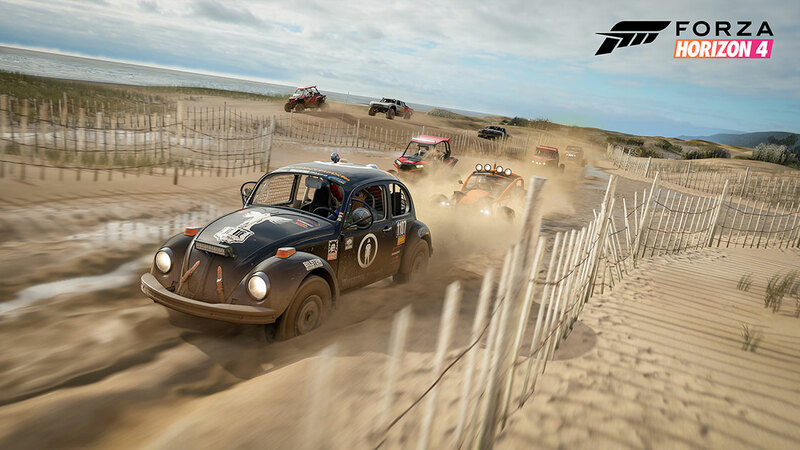 For this race, you’ll be driving a rough-and-ready Ford Fiesta ST Rallycross through deep mud (a new surface type in Forza Horizon 4) and chasing a team of stunt motorcross racers. As you navigate through the forest, the team will be turning jumps and death-defying flips, with colored smoke drafting out the back of their bikes and you’re all competing to be first across the finish line. Spring turns to Summer and this is your final push to victory. You’re back in the McLaren Senna for this final sprint and your only goal is to make the most of that stretch of warm asphalt and get across the finish line first. Things sound as great as they look – dig into the sounds of the supercars that surround you; enjoy the dulcet tones of the Horizon Radio DJ encouraging you as you push the Senna to the limits of speed. Summertime at the Horizon Festival is a feast for all the senses. As you cross the finish line at ludicrous speeds, it’s time to sit back and reflect on what you’ve seen. Congratulations, you’ve experienced a year’s worth of British seasons in just a handful of minutes. 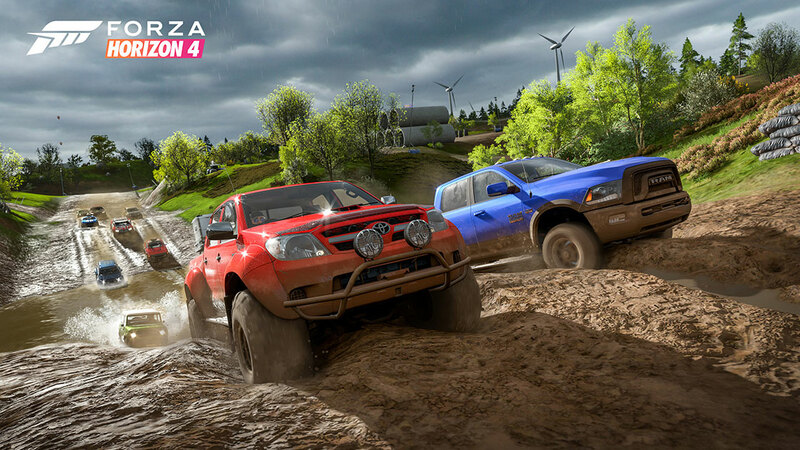 You’ll be able to experience it all over again and so much more when Forza Horizon 4 arrives beginning with Early Access on September 28th for Ultimate Edition owners, and October 2nd for all other owners and Xbox Game Pass subscribers.